Fans are loving singer Pink’s recent Instagram snap of her breastfeeding her son Jameson during a photoshoot. The singer is currently juggling motherhood and a worldwide tour as she prepares to release her comeback album. The 37-year-old star posted the cute photo yesterday with the adorable caption ‘Jameson can multitask too’. 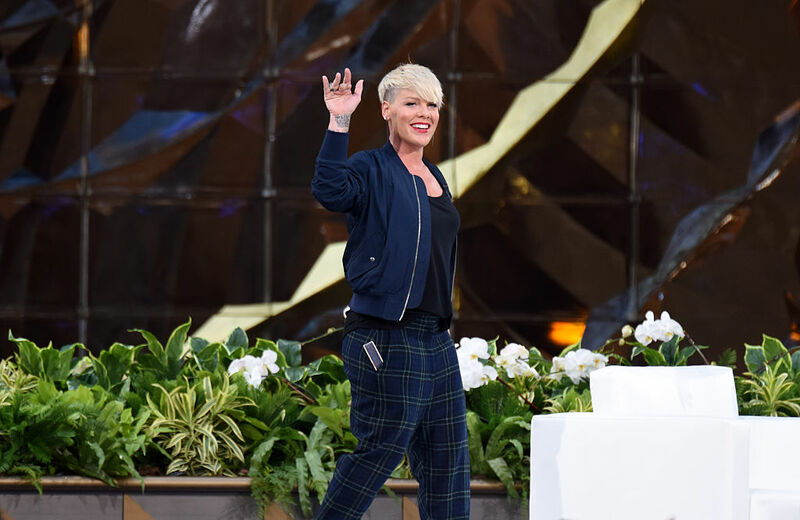 One fan called Pink ‘a great example for mums’ whilst another commented ‘you are the proof that one woman can be a star, a mother, a wife, a lover, a friend, an incredible human being’. Although the vast majority applauded Pink, of course the singer did receive some criticism too from fans who believe that women should not be allowed to breastfeed in public. Breastfeeding in public will always be a controversial topic but it appears that more and more people are coming out to support it and rightfully so. If Pink and other stars continue to post these inspiring photos, hopefully one day it will be accepted by all.